So many people I speak with tell me about their love/hate relationship with pasta. They miss it since going Paleo. They go back and eat it from time to time, only to learn later that their body does not enjoy it as much as their mouth does. Then comes the point where they finally buy a spiral slicer and start making “noodles’ out of everything from squashes to sweet potatoes. This is the point where people realize that it was the delicious sauces on top of the pasta that they missed, not the actual pasta itself. Face it, you like pasta because it is usually covered in a delicious vegetable sauce, or butter, or cream. I’ve never heard of anyone eating plain pasta because it was just oh so good all by itself! 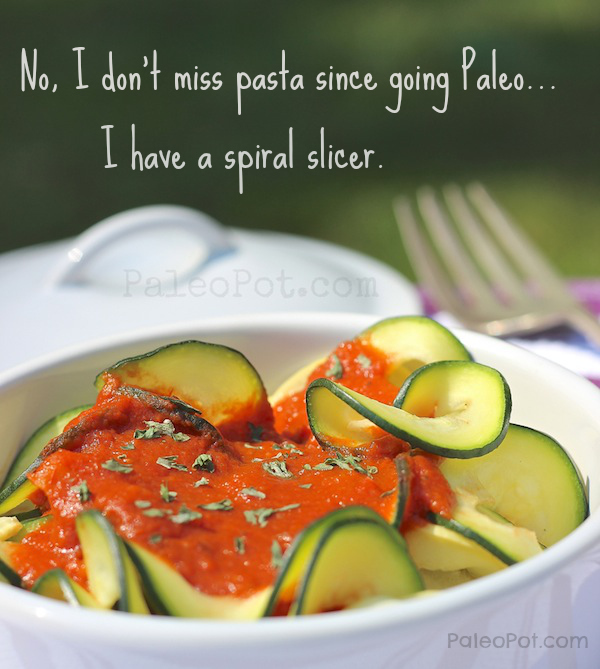 This recipe is one of my personal favorites, and it makes me love my spiral slicer even more because it allows me to share this awesome marinara sauce recipe with you. 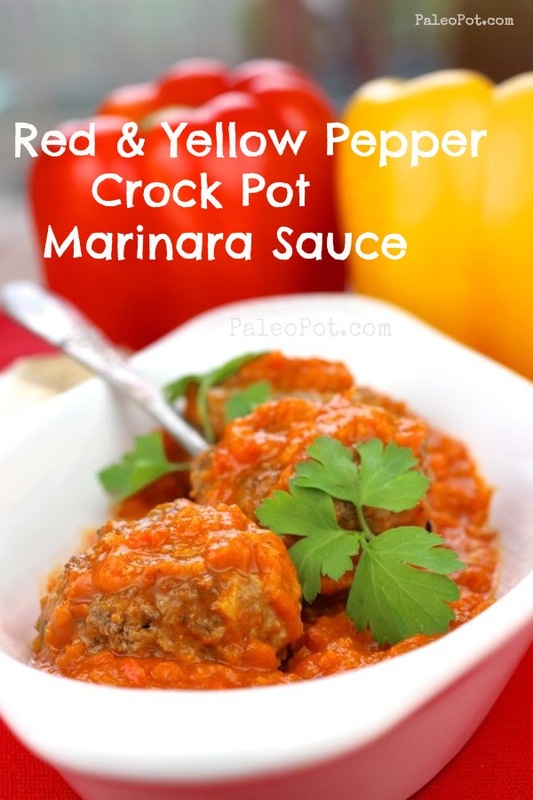 The addition of the sweet bell peppers in this marinara sauce gives it a light color and sweet taste like a vodka sauce, yet it is still unique and falls somewhere in between a red pepper sauce and a classic marinara. I think you’ll like it! I suggest you purchase the Paderno World Cuisine Tri-Blade Vegetable Slicer. It is the model I own (and seen in the picture below in my kitchen). Also, every friend and fan that has purchased one absolutely loves it. 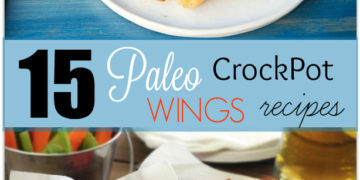 It costs about the same price as a dinner out, yet will totally change your Paleo culinary experience. It can turn vegetables into the pasta ribbons you see in my picture above, and two types of “spaghetti” style noodles that you see in the picture below. Also, turning the crank to make the noodles is admittedly quite fun! 6 to 7 cups of BPA-free crushed tomatoes or 3.5 to 4 pounds of fresh tomatoes, blanched and peeled. 3 medium to large bell peppers, diced. For a sweeter sauce, use 2 yellow and 1 red. Vice versa for less sweetness. 1 medium to large white onion, diced. 6 to 8 cloves of garlic, cut in half and tossed right in. 1 tbsp of Italian seasoning, or 1 tsp each basil, oregano, and thyme. 2 tbsp of extra virgin olive oil. 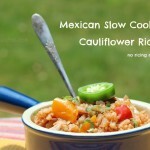 Recipe is designed for a 6-quart slow cooker. 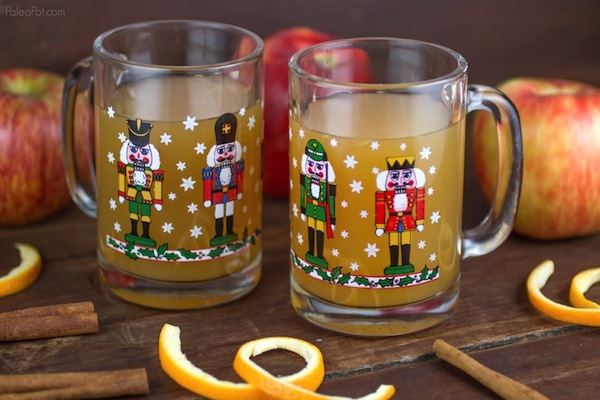 If using a 4-quart model, use 2/3 of the ingredient amounts. 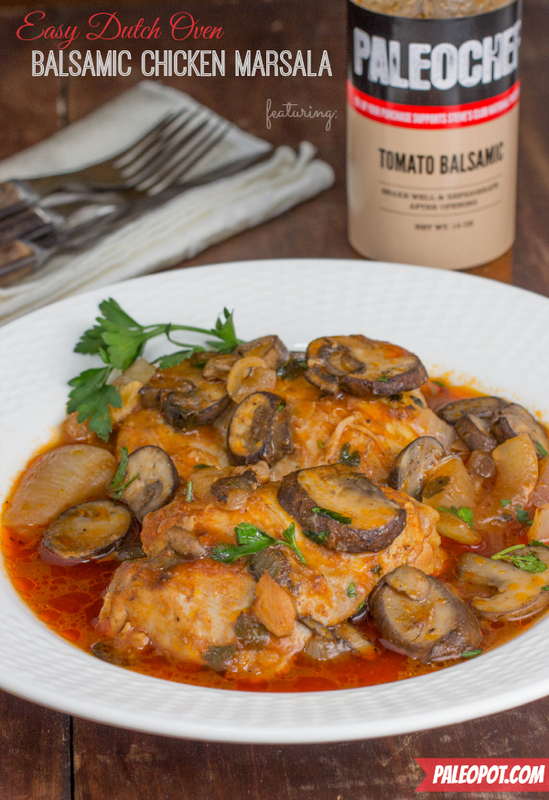 Add your tomatoes and olive oil to your slow cooker. 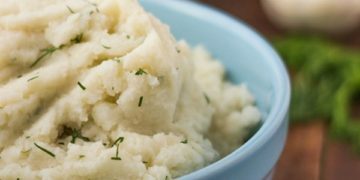 If using fresh tomatoes, mash them up some in the crock. Stir in your seasonings, garlic, onion, and peppers. Use your immersion blender to achieve an even consistency, or blend less if you desire a chunkier sauce. 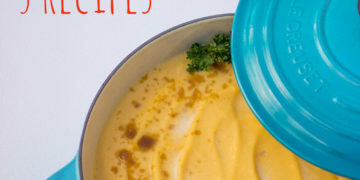 If you don’t have an immersion blender (you should), use your food processor or blender. 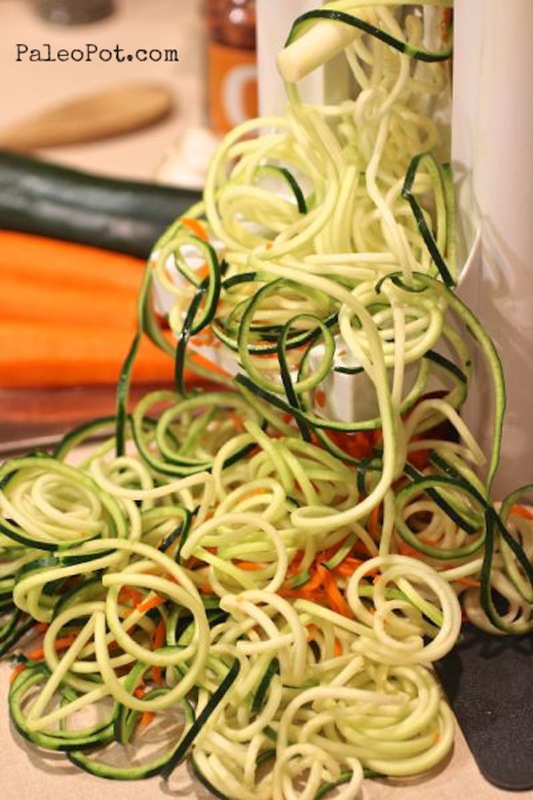 Serve over steamed or sauteed zucchini ribbons or noodles made with your spiral slicer. 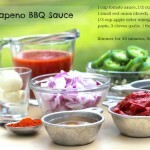 Enjoy and don’t be afraid to freeze any extra sauce you don’t think you’ll use in the next few days! 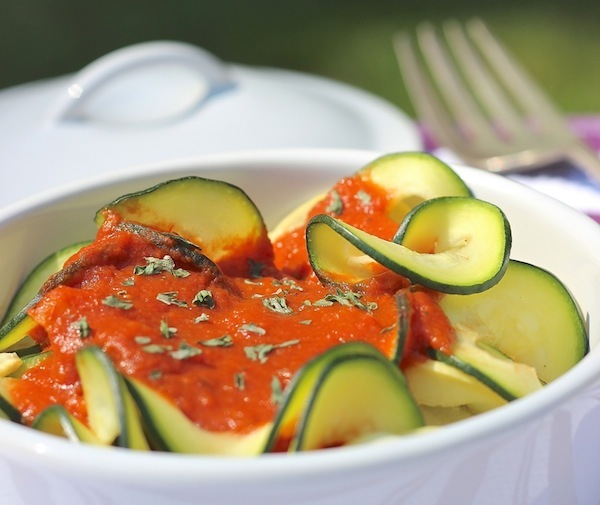 This is one of the most exciting recipes for me as I could inhale marinara sauce! This was a very good sauce. It was a nice from my traditional tomato sauce.